Equine Productions picked up two awards at the EQUUS Film Festival in New York. 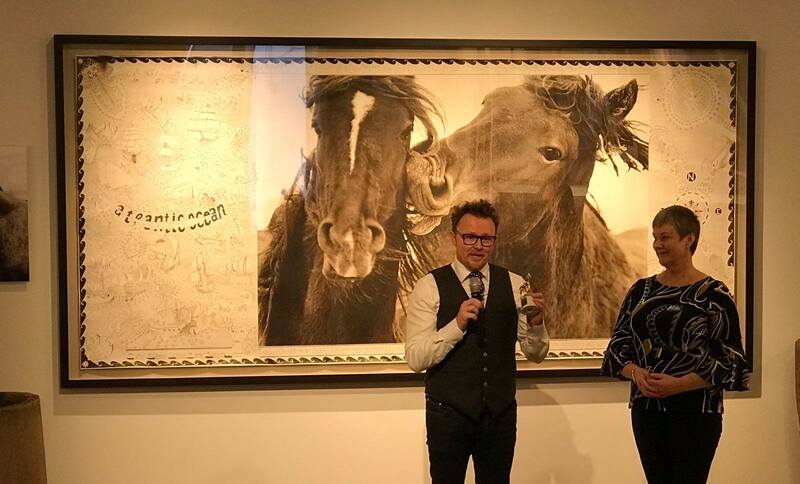 Visual Director, Nathan Horrocks, was awarded Best International Director for “Many Clouds, The People’s Horse”, and “Mole Valley Farmers, Not Your Average Store”, won Best International Commercial. A tribute to former Grand National winner, “Many Clouds, The People’s Horse” captures the journey of racing star, Many Clouds, during his acclaimed career – from the rise of his talent on the national hunt circuit, to his triumph at the 2015 Grand National. The story of Many Clouds was closely followed by Equine Productions and the horse holds special memories for Visual Director Nathan Horrocks, the gelding’s former exercise rider and director of the film. On winning Best International Director, Nathan said he was “completely overwhelmed”. During the weekend, he received high praise from fellow award winning filmmakers from across the globe. The film was created using interviews and footage, originally commissioned by the Jockey Club in the lead up to the 2016 Grand National and the material was reused by kind permission of ITV Racing and Racing UK. This is the third year in a row Equine Productions has triumphed at EQUUS Film Festival. Moving away from the racetrack, roaming free ponies and other animals were the stars of the show in the “Mole Valley Farmers, Not Your Average Store commercial.” Here, Emma Massingale, utilised her unique training methods to create a “Night at the Museum” inspired commercial promoting the launch of a brand new Mole Valley Farmers store in Holsworthy. Featuring ponies, a dog, a chicken and a duck in a shopping takeover, the commercial follows the animals around the store, secretly helping staff members behind the scenes, taking on tasks such as pushing trollies, moving feed sacks and posing as pretend horse mannequins. The EQUUS Film Festival took place at the Helen Mills Theater in New York between 17 – 19 November 2017.